With a lot of magazines and websites releasing their “Top # of Cigars of 2018” recently, I’ve seen some folks around the interwebs express discontent about some cigars being completely overlooked. 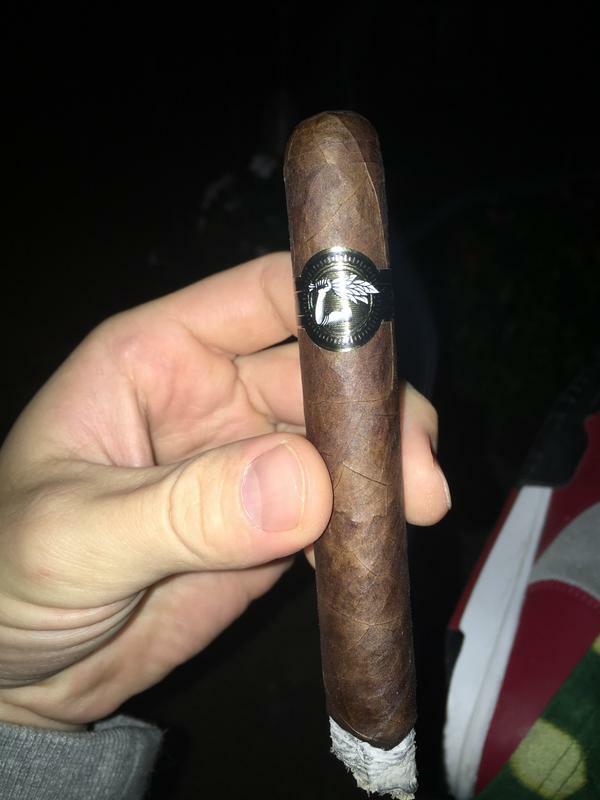 I have found that by and large, most lists I’ve seen so in fact recommend some nice cigars, but I also *absolutely* agree that there are many hidden gems out there. Honestly many of the tastier cigars I’ve had were either from word of mouth or by sheer luck. CAO La Traviata Habano - I’ve read that this one has been rated highly in past lists but by and large, I don’t hear much about it. I’ve noticed that CAO does very little, if anything, in the way of promoting this cigar. Maybe because it’s so good, they know it doesn’t need to be promoted? As far as how it smokes - solid medium body, full on flavor. Lots of reviews attribute the “Cubanesque” moniker to the Traviata, but all I know is that it is delicious...esque. Tons of woodsy, caramel & cocoa notes without being too, if at all sweet, which I appreciate. These often go for about 3-4 bucks a stick but at times, even less if you are patient. This is the other reason I love this cigar so much, the price/quality dynamic, and I often try to buy boxes at a time when on sale. So what about you? I look forward to seeing some of your recommendations! For me I smoke a lot of full heavy cigars. Every so often I pick up an Ashton White and wonder why I don't keep a few of these in my Humidor. Flatbed Cigars comes immediately to mind. A small brand based in southeast Pennsylvania that's been around for at least 10 years, with retail store distribution as far west as Texas. But I don't think they spend any advertising dollars, so they go unheard of unless someone recommends them to you. I'm particularly fond of the green, the red and the white label blends, but there is something for everybody here. I burned my fingers nubbing a green label last night! Mark i assume you are referring to Ashton Classic when you say white? I’ve had the Symmetry and I absolutely love it, but generally don’t smoke a lot of Ashton due to financial contstrainsts haha..
Flatbed looks like they have some excellent stuff Bruce, really glad I started this thread because otherwise I would probably never have come across them. Will be ordering a sampler in the future! Been a while since I started this thread, but another excellent sleeper recently came to mind! And by all means everyone feel free to add to this any time you think of, or come across a great, yet generally overlooked stogie! Aganorsa Leaf by Casa Fernandez - these can only be found at Famous Smoke. I can't remember where I heard (it could have been Terence from Aganorsa Leaf) that these are basically the same as the Casa Fernandez Habano, but at a much better price! Really a spectacular smoke, has everything I love in a good Nicaraguan! Every time I smoke one I think "wow, why aren't more people smoking this cigar?" Seems to age well too, I have some that are 1+ years old and are only getting better. This is a good topic to discuss, wish I'd seen it sooner. Here's my contribution: The LegendArio by Camacho. Seems like they've rebanded and reblended most every other line they make. And not for the better, it seems to a small bunch of us locally. But best we can tell, Camacho hasn't changed the LegendArio since Eiroa first blended it years ago. Don't think it ever came in more than three sizes, now maybe there's only two(?) Haven't looked that up. Trouble is, the company doesn't seem to give it much love as far as promoting it. Camacho has two or so events through Party Source each year, the LegendArio never gets brought to the dance and the rep only mentions it when we force him to. Maybe instead of an "underdog", I should call it the Cinderella cigar. Wow excellent post Brian, that is precisely the kind of cigar I'm referring to! As go figure - I love the Camacho brand - and I've tried all of their lineup (or so I thought?) because I've never even heard of the LegendArio! Definitely adding this cigar to my list of cigars to check out in the very near future! Last edited by gomeitsmybday; 04-08-2019 at 04:03 PM. Reason: Typos! Tatuaje Fausto. It’s a bit silly of me to put anything Tatuaje up but I would say the Avion size I prefer over a brown label and they are cheaper due to being over looked or not marketed or just out of the general flavor profile most enjoy. Just for the record there are strict requirements for cigars to be reviewed for those lists, more than just advertising dollars spend on whatever rag it is, they have requirements about how many "cigar lounges" each cigar are actually sold in, things like that. Ya know, I've really been enjoying Baccarat The Game Bonitas. A quick tasty little smoke; I was really kinda surprised at how good they are at their price point. Yeah I've also heard people speculate about the advertising dollars too, however I'm not personally inclined to believe that either - if for no other reason than that I've found a lot of amazing cigars thanks to the "best of ..." lists! It's more that I have noticed that there are a lot of list worthy cigars that definitely don't get the same amount of attention, for whatever reason. Btw great additions everyone, I'll be checking out a lot of these cigar....when I have more expendable income, that is...haha! Aganorsa is available at many places. Has been for a decade now, give or take. You appear to possibly be smoking an exclusive vitola (size). And, yes, it's a nice cigar. But yeah at the end of the day, it is an excellent (and affordable!) cigar l! I still enjoy the odd Macanudo every now and again, the Inspirado Orange was a decent smoke. CC: QdO Corona IceHog mentioned these as an Under the radar gem on a thread years ago and I’ve been smoking them ever since!! !